Poland - A prayer service will be held at 10:00 a.m. on Tuesday, April 2, 2019 at the Clemente Funeral Home with a mass of Christian burial to be held at 10:30 a.m. at Christ Our Savior Parish/St. Nicholas Church, both in Struthers for Andy E. Sandusky who passed away on March 28, 2019 at Hampton Woods Nursing Center. Andy was born on November 25, 1923 in Campbell, Ohio, a son of John and Barbara (Elko) Sandusky, who immigrated to this Country from Slovakia. He attended St. John’s School, where he was an altar boy, and Campbell, Memorial High School, where he left to enlist in the Coast Guard. After being honorably discharged in 1944, Andy completed his high school requirements and then attended Kent State University. He was an agent for Lincoln National Life Insurance for several years and later worked at Truscon Steel in the shipping department where he retired from in 1980. Andy married his wife, the former Leona (Lee) Muller, on May 26, 1951, and shared 63 wonderful years together. They traveled extensively throughout the United States and enjoyed golfing and spending time with family and friends. He was a parishioner of Christ Our Savior Parish/St. Nicholas Church. He was a member of the Knights of Columbus Council #4471 in Struthers where he attained the rank of 4th degree, and the Struthers VFW Post #3538. Andy loved being outdoors and thoroughly enjoyed a good round of golf; he was a member of several golf leagues. He was an avid fisherman and hunter, often bringing home game which his wife learned to prepare. In addition to these interests, Andy was quite talented doing handyman tasks such as plumbing, electrical work and carpentry. He leaves his two daughters, Lynda from Poland, and Mary Lee from Cortland. He has one remaining sibling, Gertrude (Gert) Sandusky from California and several nieces and nephews and their families. 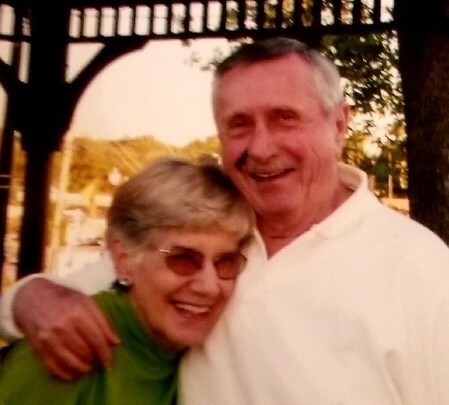 He was preceded in death by his wife who passed away in 2014; his parents; sister’s Mary Leason, Helen Yarab and Margaret Gioppo DiGiacomo, and brothers John and William. Friends may call on Tuesday, April 2, 2019 at the Clemente Funeral Home in Struthers one hour before the prayer service from 9:00 to 10:00 a.m. He will be laid to rest at St. John’s Cemetery. His family would like to thank the staff at the Woodlands Hampton Woods Assisted Living, Long Term Care and Crossroads Hospice for their compassionate care. Wounded Warriors Project PO Box 758516 Topeka, Kansas 66675-8516.